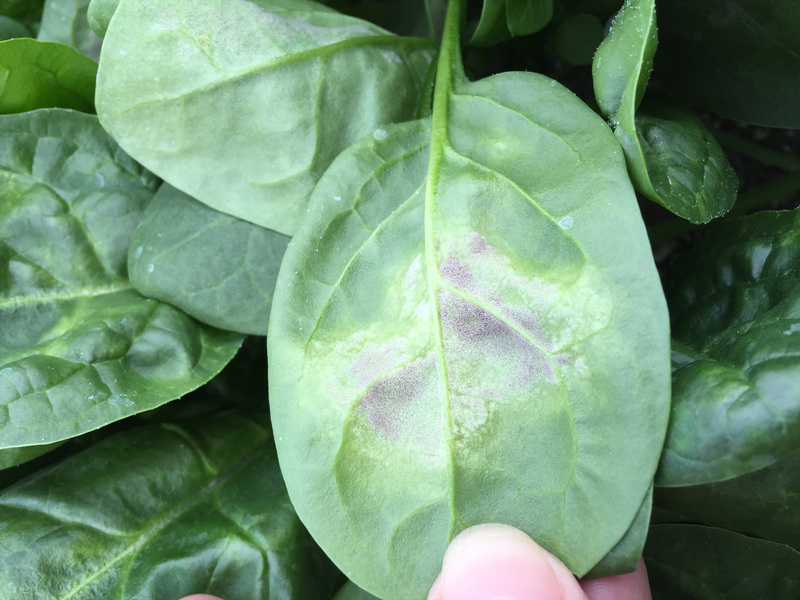 Spinach downy mildew was detected in a hoop house in Utah last month. 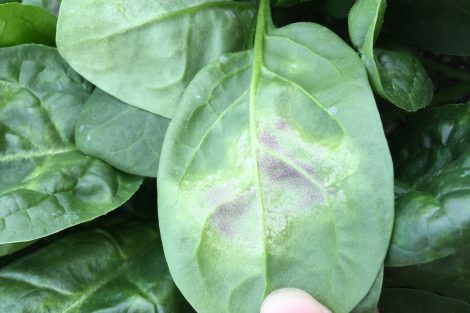 This is the first recorded case of spinach downy mildew that the UPPDL has seen in Utah. Downy mildew requires cool, wet conditions for infection and development. It can be spread by wind, seed, soil, and splashing water. Initial symptoms include bright yellow spots on cotyledons and/or leaves at any stage of growth. Purplish-gray, fuzzy growth of the pathogen may also occur and is usually on the underside of leaves. As the disease develops, the spots can enlarge and become dry and tan. 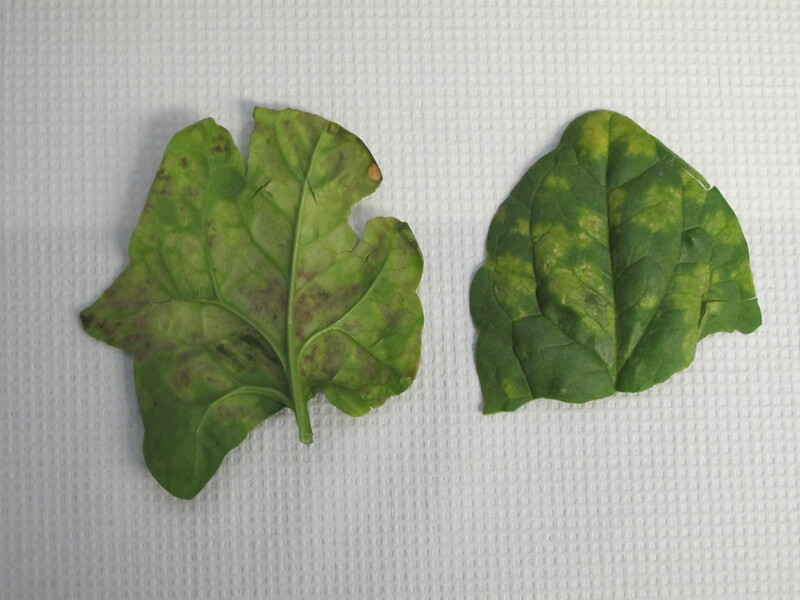 If the pathogen continues development, infected leaves may look curled, distorted, and/or blighted. 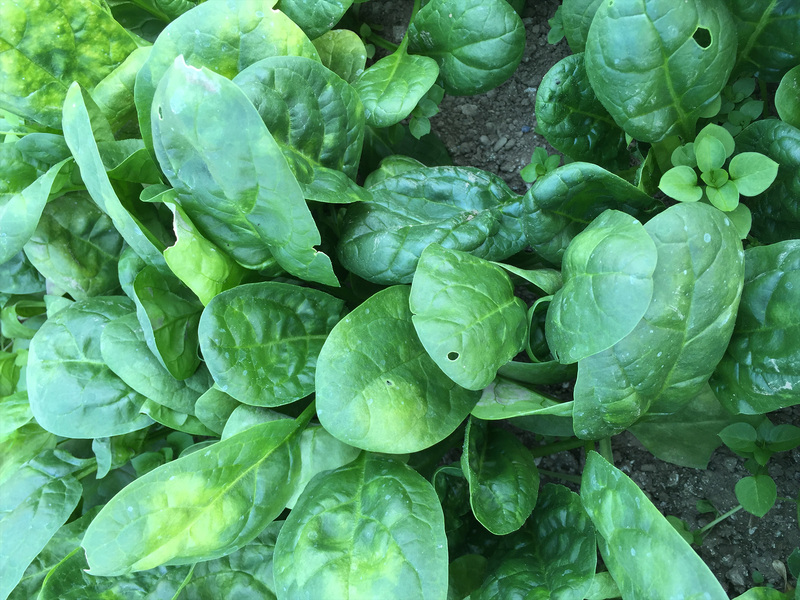 The spinach powdery mildew pathogen only infects spinach, and potentially a few Chenopodium weed species. 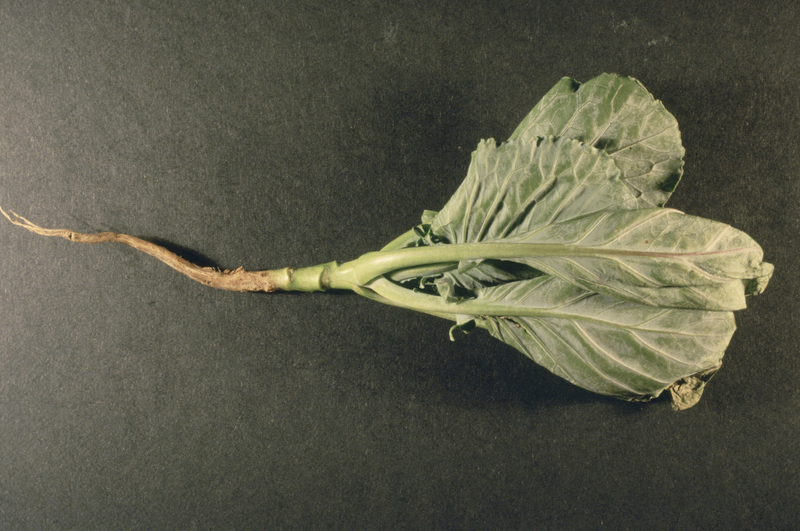 Resistant cultivars are one of the most effective ways to control this disease. However, the pathogen has shown to be adept at developing new races that can overcome host resistance. The race recently found in Utah has not yet been identified. 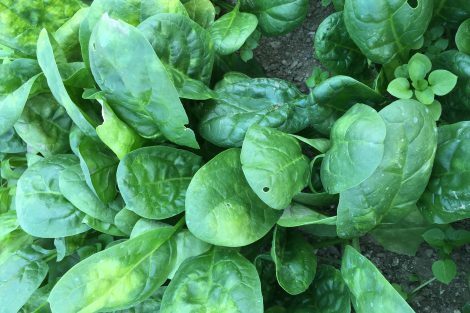 If spinach becomes infected, the whole crop should be removed and replaced with a variety that is resistant to most races. Foliar fungicide materials are protectants but must be applied before infection occurs and before symptom development to achieve best results. Although preventative control is best, control with fungicides may be possible by starting early in disease development and applying weekly. Commercial – Organic: copper, Actinovate (Streptomyces lydicus), Double Nickel (Bacillus amyloliquefaciens), Regalia (extract of Reynoutria sachalinensis), Oxidate (hydrogen dioxide + peroxyacetic acid), Trilogy (neem oil). 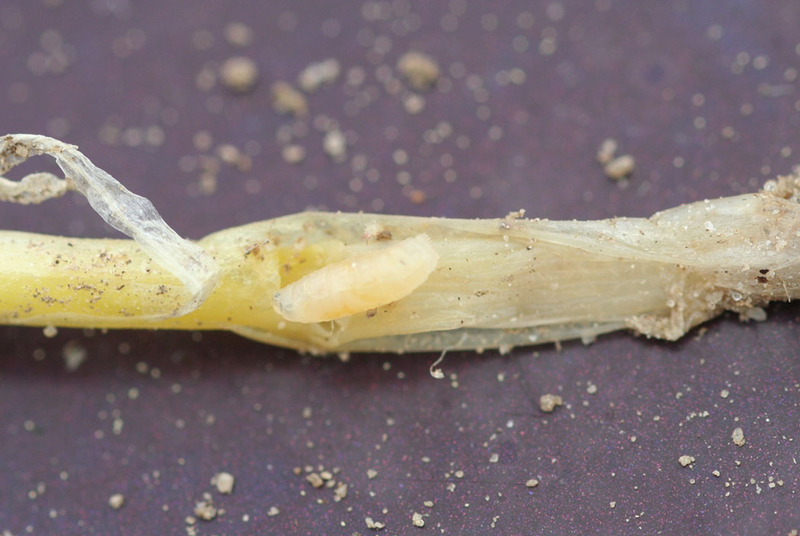 Common seed and root maggots in Utah include seedcorn maggot (Delia platura), onion maggot (Delia antiqua), and cabbage maggot (Delia radicum). 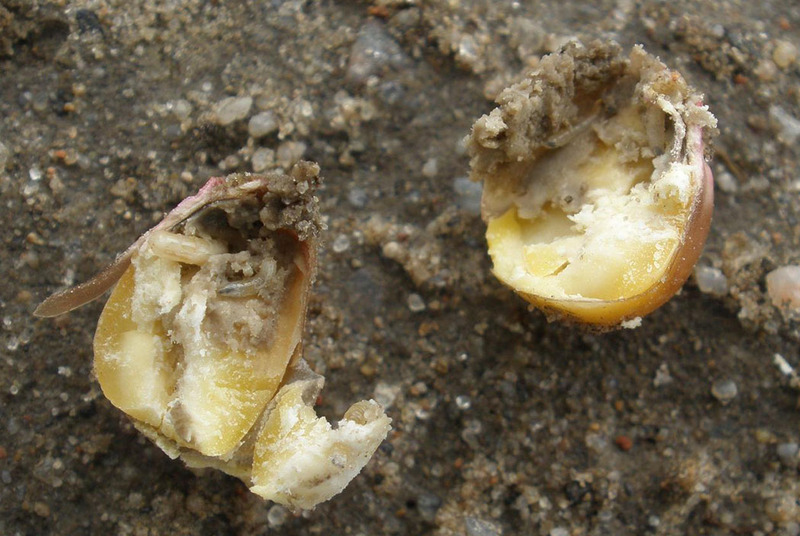 The seedcorn maggot feeds on seeds and seedlings of brassicas, onion, sweet corn and other crops. 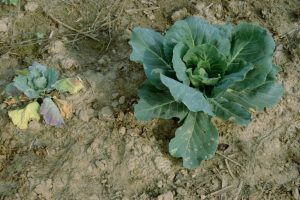 Cabbage maggots can damage cole crop seedlings and roots preferring cauliflower, Brussels sprouts, radish, cabbage, broccoli, collards, kohlrabi, and turnip. 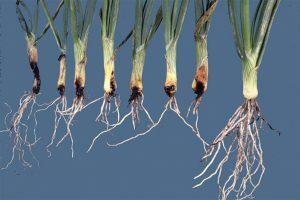 Onion maggots feed on the roots and bulbs of onion plants. Maggots emerge from their overwintering sites from April to May. They complete one generation in about 3-4 weeks with a total of 2-3 generations per year. Maggots prefer feeding in soils rich in organic and decaying matter (such as manure). Seedcorn and onion maggots feed on the seeds, stems, and/or roots of host plants causing plant death and/or inability to sprout or emerge resulting in reduced plant stands which are evident in about a week after plant emergence. Their feeding can also cause wilt and rotting tissue that can serve as an opening for other diseases and reduced crop quality and storability. Cabbage maggots feed on the roots of cole crops providing entry for decay, fungi, and bacteria. 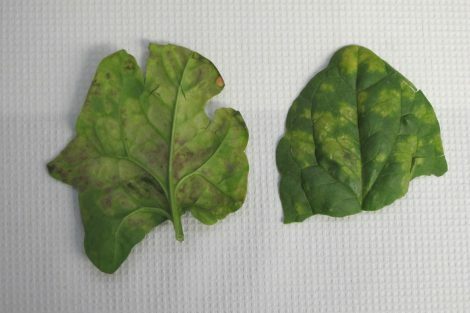 Damaged plants show wilting, reduced growth, and lighter green plant parts. Be aware of maggots in cool, wet spring weather as these conditions are favorable for them. Delay planting to allow soils to warm or plant in raised beds that promote soil drying and warming. Place seeds at a shallow depth. 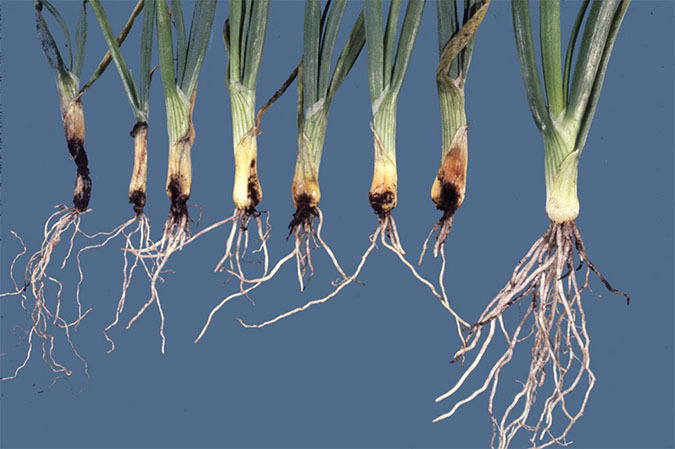 Sanitize fields – remove or destroy onion culls and debris from fields after harvest and volunteer onions in the spring. Rotate crops – rotate onions with unrelated crops. Maggot populations are generally higher after a legume has been plowed into the soil than when a grass has been incorporated. 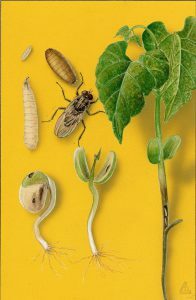 Handle seeds carefully – avoid cracking the seed coat which would provide entry points for maggots and other diseases. 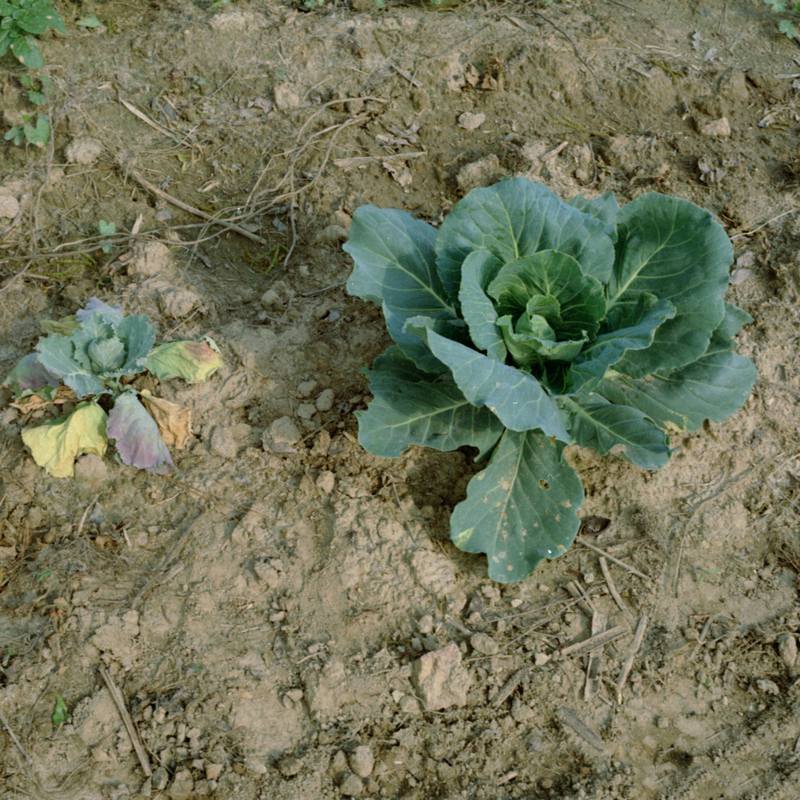 Avoid planting in soils that are high in undecomposed organic matter. Plant during fly-free periods determined by monitoring with yellow sticky traps. Use row covers in small scale production sites. For more locations and frost date information, click here.